Kiwis are known as the most expensive temperate climate fruit. But modern farming introduces some varieties which can grow in more cold environments. Radically, Kiwi fruits farming are getting more popular day by day in cold, long non-frost part of the worlds. You will agree with me that the primary reason for that. This is so easier to cultivate kiwi plants. Also, it has created a huge demand on global and local markets. 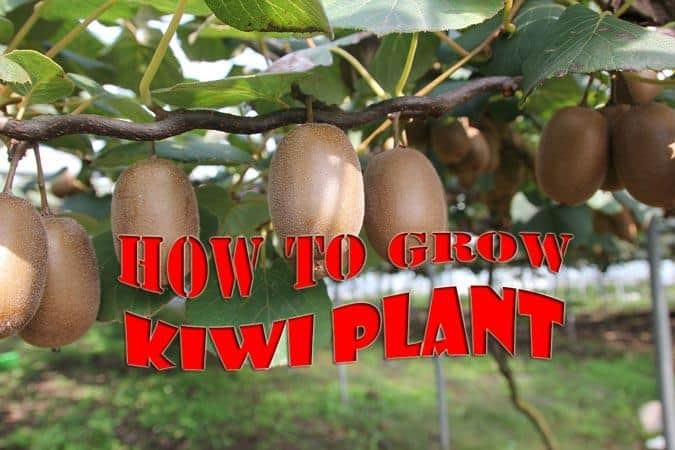 How to Grow Kiwi Fruits Plant? You can grow Kiwi fruit from both seeds and seedlings. And you can buy them from anywhere. But before doing that I will suggest to you, read the requirements for this Cultivation method. So, without any further ado, let’s begin with the point “how you will start growing Kiwi from veins”. The planting process is somewhat similar to grapes. Grapes are also a veins tree. In order to start Kiwi cultivation in your backyard, transplantation of seedling is the easiest process. Though, the germination rate of seeds is about 70%. But the process is relatively hard to perform. Also, there are several problems that you are likely to face in this step. That is why we recommend you to buy the 2-4 month or older seedling or baby kiwi plant from a plant shop. As we already know the plant can grow in less frosty and temperate climate regions in the world but there are also some other environmental requirements. Kiwi Plants can grow in your backyard garden. But you will have to study the weather, soil PH, and rain or watering system to become successful. Again, if you can choose a suitable species for your garden, it will be profitable and more productive. We will learn more about selecting the right kind to grow in this guide. You already know that this is a temperate weather plant. It does not tolerate too much hot, cold or rain. It can be grown in Kania, Zimbabwe, India, Italy, Japan, Chile, Australia, Netherland, USA, New Zealand, Turkey, Iran and many other countries. In case you want to grow this vein plant in the USA in zones 5-9 read through this Kiwi Growing Guide. The plant thrives under the sunlight any climate that undergoes at below 45 degree F temperatures. But it will require shade on low winter days and early spring sun. On a typical backyard, you can plant the seedling on north facing grades. The soil must be well-drained and the Soil PH should be in between 5.5 to 6.5. 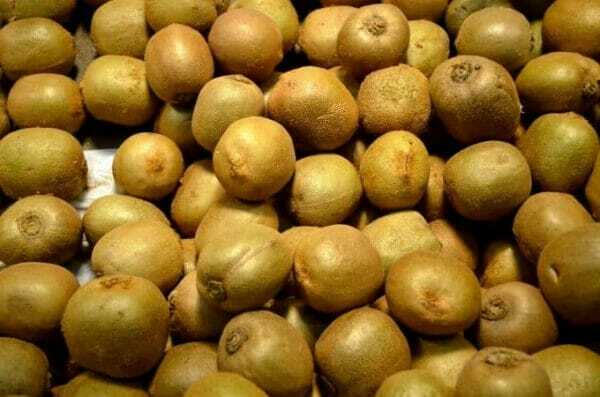 Kiwifruits thrives in acidic soil. Watering is another essential part to control, but the temperate regions are well known for the rain. o, it will require moderate watering on dry seasons only. One problem that farmers face to maintains soil PH caused by lack of watering and rain. On the other hand, The South Asian countries rain heavily on monsoon days. Too much rain is risky for any plants. To avoid infinite problems you need to plant Kiwi on the high-ground. You know this is really hard to cultivate if not plant any crop in the correct season. Also, know that it is not a short time plant. You will harvest likely 30-40 times from a single tree. The season starts at mid of March end till mid of May. The variety selection is everything. So let’s learn how to choose planting season depending on variety. Note: Harvesting time is also another considerable thing before selecting varieties. It will require a standard environment to produce fruit. This is one of the most important factors. You need to be accurate when choosing the variety to grow on your backyard. The planting process and season dependent on variety: So in this step, I will suggest you contact a local government agricultural facility. They will suggest conversely. Choose the best one suit to necessitate. The most common kinds of kiwis vein plants. They are sweet, beautiful and common all over the world. There are a lot of variations in this temperate area fruits. I.e. Hayward, Blake, Saanichton and Meander. They can tolerate 15F, below that temperature will damage both the fruit and vein tree. This is the newest variety of kiwi which will grow in cold but non-frosting (during the flower propagation stage to harvesting time) areas. It can be productive at -35 C ( –25 F). Fruits can ripen on the vine in late fall. Suitable for countries with moderate frosts and quick growing seasons, such as the Pacific Northwest, New Zealand, USA, Australia. Hardy Kiwi is small green and hairless. Which offer a lot of flavors than others. Ananasnaya, Dumbarton, Oaks, and Geneva are extremely productive. The Arctic Kiwi types are the most cold tolerant species, sweet and delicious. These fruits are smaller and rarer than the other kiwi vine species. IE. Krupnopladnaya. First, I will suggest maintaining the soil. Loomy and loose soil are best for any plant. And you know each plant will need species to grow their root and creeper. Especially it is very sensitive to the Arctic kiwi fruits kinds. In common for pollination, all those three types requires a male and a female plant. Despite all plants offer flowers, although alone the female will formulate fruit. To ensure fruit generation, plant at least a male plant and 8-9 female plant the same varieties. Kiwi seedlings will normally flower in 4 to 5 years of age (1-2 year for Hardy Kiwis). At that time, you can identify the male by the flashing yellow, pollen-covered anthers in the middle. Where the female plants produce viscous stalks in the middle, with white ovaries at the bottom of the flower. As you know, The distance between the two plants should be 12-18 feet apart. Soil plays a vital role here if the soil is hard or less fertile you need to plant them at maximum distance. Choose a piece of land which drains well. Heavy snow or rain will destroy the root. PH level should be maintained, It can be maintained by controlling the water underneath the tree. Seeds can be brought from a local store or you can collect seeds from a mature kiwifruit. After collecting the seeds, first, you have to perform a test to find out germinate able ones. • This is quite simple. I personally called that as “The Seed Floating Test”. • If any seed floats in the water. It is disqualified and it will not germinate or sprout. • Put the seeds in a pot and put some water in that pot. • Then using your fingers tries to drown them in the water. • Remove the floating ones and keep the sunk seeds. Take two organically disposable tissue papers. And put the selected seed directly on a tissue paper. And cover that one with the second tissue paper. Then put them in a poly bag, which does not allow any air to pass through. The germination process will require worm humidity. To ensure that, the farmer keep some air in the polybag. It will take 2-6 weeks to sprout. And you have to put fresh air in each weed until it sprouts. Then cut the paper but do not harm any seedlings roots. The next step is placing them on a tray or pot to grow for 2-3 months. Note: You can skip this whole process if you collect seedlings from a store. When the Kiwi seedling ready to plant, till a hole big enough to contain the root. If you plant a potted plant in the garden, take extra care to the roots. Do not displace them. Lazy performing substances like kelp meal, rock phosphate, and compost can be combined with the soil in the sowing cell. Kiwis need to be planted at nearly the equivalent level as they were grown in the nursery. No matter if you choose a cold area or hot weather varieties. the cultivation process is easy and requires less work. But you know “everybody needs special treatment”. Don’t laugh I just mention the most important thing. We know that a small care can change the world. Let’s know the tips for better Kiwi production. The first thing comes first. And that is planting procedure. How you will manage the soil, sunlight, fertilization, and care of adult plants. This section is closely related to planting or sowing procedure. So if you do not understand any step read the planting tips. Varieties selection is important and you already know that. The planting and harvesting season or time is dependent on that. Kiwi veins will be fruitful for 35-40 years. But at the first few years, the fruit is usually smaller than the common fruits we see in stores. It has a long lifespan, so the caring and the maintaining process should be consistent for such a long lifespan. A common thing of various kinds of veins is, they are very nitrogen hungry. We have observed that nitrogen can enhance the size of the fruit. Mulching is beneficial with manures or straws. 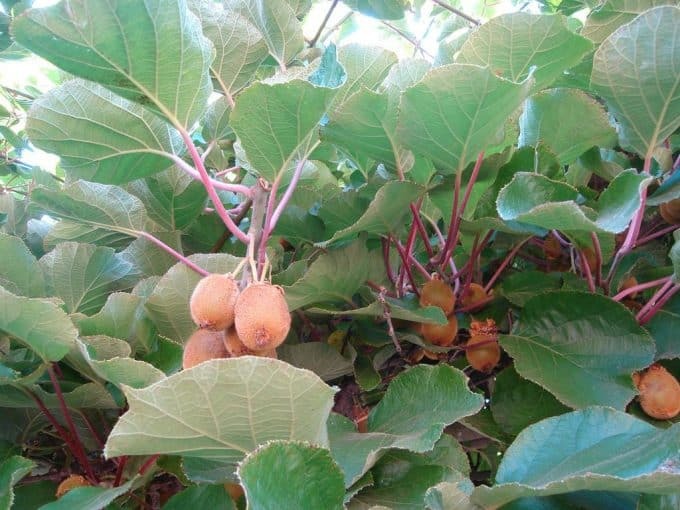 Nitrogen is the very important factor for better and bigger production of kiwi fruits. In the first half of plants growing season, nitrogen feeders are needed to be applied heavily. Late season utilization of nitrogen will improve fruit dimension yet are warned as the fruit later conduces to store defectively. The fertilization process starts in early March. And the supplemental season of fertilization begins at early summer. Watering Process: The plant needs water during the dry season. But to much water is bad for your plant. This will ensure healthy growth of the Kiwi fruits plant. Trim or Cutting Veins: Prune your kiwifruit plants once a year. The kiwifruit plant can’t bear the weight of such shoots till they’ve approached the ceiling of your frame. Cut unwanted veins. Oblique shoots are branches that progress to the sides. Weeding Method: Weeds are very annoying but I found it more annoying when it comes to fruit farming. Because fruit tree requires a lot of space, which allows lots of weeds to grow up in the distance between the two trees. On a Kiwi garden, it needs to be do weeding regularly. After any season completes weeding should be executed. And, please remove all unwanted weeds before performing fertilization. The process is straight-forward, use organic tools or do it manually. Final Words: Kiwi is farming is considerably easy to start. As a beginner, you may face some problems. But I can grantee you that it will be easier after one year or so. Do not expect kiwi fruits in 4 years. In case of hardy kiwis can grow little faster. Leave a comment below if you have any questions. I will answer all your questions. A die heart farmer. Loves farming and growing various things in his backyard. He is one of the founder member of Farming Method- The modern Farmers Blog. OWW! Cool man. Have a nice time. Feel free to bookmark your farming blog. And may God bless you too. Amazing! Its genuinely amazing post, I have got a much clear idea concerning from this post. Thanks! Dear, Even a small hearing form you make us more determined and keep up the real work. BTW. Good Luck With Your Kiwi Farm. I want to start please help! I will be proud to help you. Contact me. Read all your latest blog post about farming. See you there! My spouse and I stumbled over here different web address about farming and thought I should check things out. I like what I see so I am just following you. Look forward to looking into cultivating again. from a nearby horticultural center.